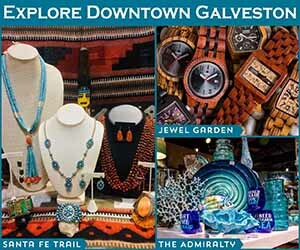 Rambling around the island you are sure to find a plethora of restaurants, bars and local hang outs but these three stand out amidst the crowds and hold distinction in our new “Galveston Locals’ Favorites” category. 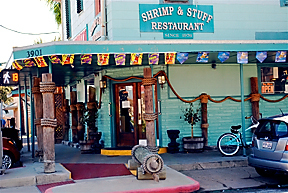 Visiting the original “#1” Shrimp ‘n Stuff is like stepping back in time to a long-time Galveston locals’ hang out. When you walk in the door, you feel the sense that you have found a hidden gem that “only the locals know about,” located in the heart of a residential area on the corner of Ave. O and 39th Street. For the past 38 years, locals have called this one “the original” and you can certainly see why once you are there. 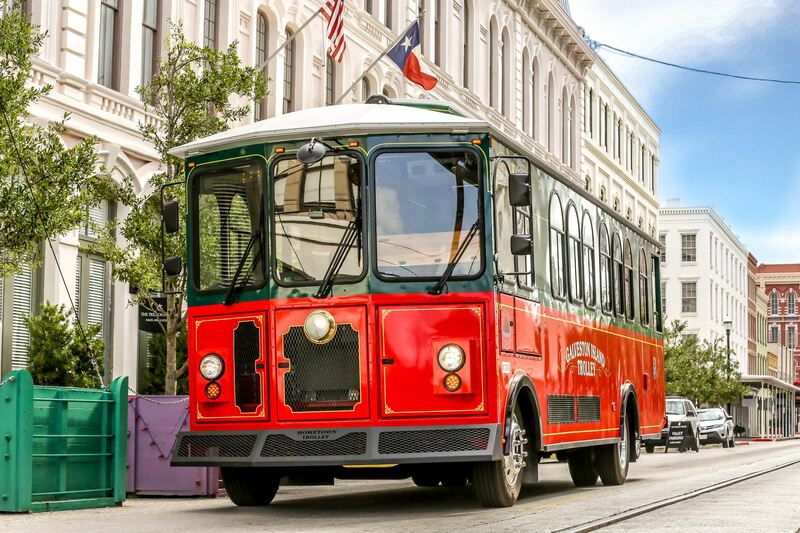 “Our gumbo is made from scratch in our kitchen. We peel, devein and bread every shrimp you eat. In fact, we bread all of our seafood ourselves from the shrimp to the oysters, to the crab balls to the fish. We make all of our sauces in house too. You have to try our remoulade sauce – you’ll be asking for more. The Shrimp Salad is made several times a day to keep up with the demand – it’s that popular,” states the owner Jeff Antonelli. Upon walking in, you can examine the menu board proudly displayed on the wall above the counter where you order. A friendly staff always greets you and service is fast at the counter. A huge variety of combo baskets jump out at you immediately, as well as favorites such as Shrimp Salad and Gumbo. 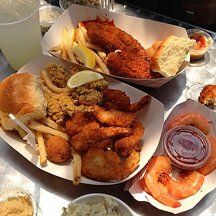 Dinners (available anytime) include combo baskets with fried shrimp, coconut shrimp, fried oysters, crawfish tails, boiled shrimp, catfish, crab balls, and stuffed shrimp. These baskets come with fries, hush puppies, and coleslaw or a salad for a small charge. If you can’t decide, get a “Create a Platter” and sample a little bit of everything; these are great to share too. 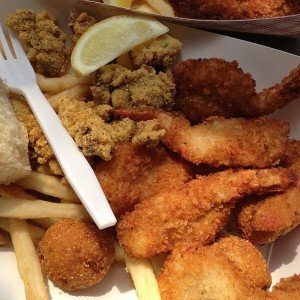 Hosting a huge mound of goodness, you can choose two from boiled shrimp, fried shrimp, coconut shrimp, stuffed shrimp, oysters, crab ball, catfish, and tilapia. Served with fries, hush puppies, and coleslaw, you are sure to walk away stuffed to the brim and a very happy diner. Shrimp ‘n Stuff Po’ Boys come in the same wonderful fried-goodness variety, either single or as combo’s where you can pick any two. Our favorite is the crab ball and oyster Po’ Boy which comes on freshly baked po’ boy bread. You can make it a meal and add sweet potato fries, seasoned fries, onion rings or cole slaw. 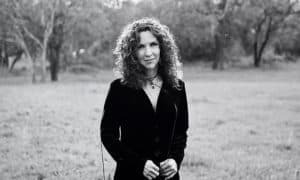 Beer and wine are available, as well as a nice variety of al la carte items that could serve as appetizers, such as boudin balls, stuffed jalapenos, boiled shrimp and popcorn shrimp. A kids menu and tacos (shrimp and fish) are also available along with many non-seafood items like chicken fingers basket, chicken fried steak po’ boy and crispy chicken salad. 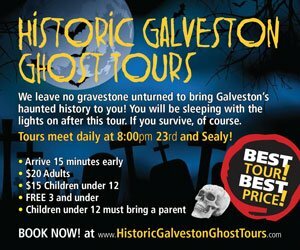 From a local, our advice is to plan multiple visits and try it all. You will not be disappointed. 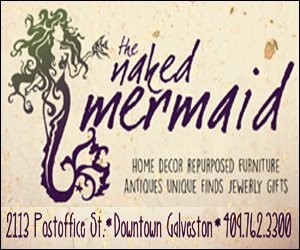 Shrimp ‘n Stuff recently opened a second location in downtown Galveston and serves a nice breakfast with items such as Grilled Shrimp Burrito, Seafood Scramble featuring shrimp, smoked salmon and cream cheese with onions. 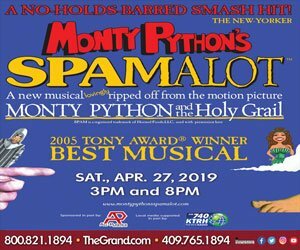 Non-seafood selections include the Pirates Breakfast (classic eggs cooked any way that you would like, bacon or ham and potatoes) and a Breakfast Croissant sandwich with a fried egg, grilled ham, chipotle peppers and pepper jack cheese. Shrimp ‘n Stuff offers stuffed french toast, pancakes, a vegetarian scramble option, bagels, croissants, and fresh fruit. This location’s lunch menu has a little more variety than the original, hosting several yummy salads, grilled options, burgers, steak and chicken pasta creations. Be sure and try the Creme Brulee – it’s the best we have had in a long time! 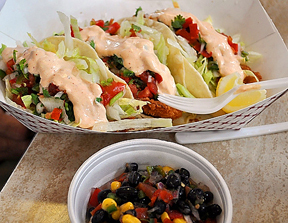 Shrimp ‘n Stuff also runs a hugely popular food truck, located near the car wash in Jamaica Beach on the west end. 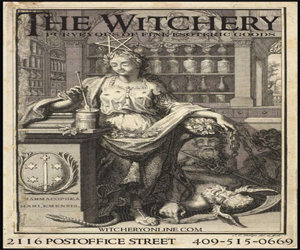 It is open Thursday-Sunday 11-8. If the weather gets iffy, they close. “Prepare for an enjoyable…no, extraordinary culinary experience at Mosquito Cafe. Opened in May 1999, this little bistro was selected by the Zagat Survey as One of the Top 15 Restaurants in the Houston Metropolitan Area and the Top “Eclectic-International” Category. 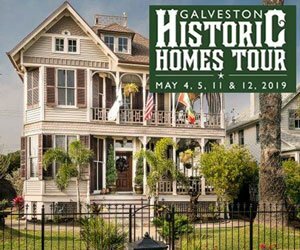 Also, Mosquito Cafe was voted by Galveston County residents as Best Overall Restaurant in Galveston County, Best Breakfast, Best Business Lunch, and #1 in Friendliest Service. The upscale eclectic menu has created a cult-type following among locals with the originality of the menu, featuring grilled, roasted, sauteed and steamed dishes. 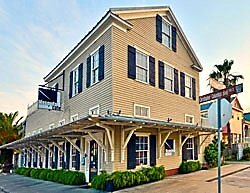 Located in a restored 1870 building in the East End Historical District of Galveston Island, Mosquito offers breakfast, lunch and dinner daily and has been a long-time locals favorite hangout. The warm casual atmosphere, both indoors and outside, offers a variety of dining options from lounging on the patio over a cup of coffee and a breakfast bowl with your pooch at your feet, to hosting a casual lunch meeting with friends. Order from the extensive menu, then select a table of your choice and sit back and relax. Menu selections are varied and there is something for everyone’s tastes and appetite. Breakfast is served Tuesday-Saturday 8-11am and Sundays all day. Choose from locals’ favorite, the Mosquito Breakfast Bowl – roasted potatoes, sauteed spinach, peppered bacon and topped with two eggs cooked any way you’d like. The Corned Beef Hash Tacos are hugely popular and feature heavenly housemade corned beef hash with potatoes, caramelized onions and bell peppers, stuffed in three soft corn tortillas and served with housemade salsa on the side, along with two extra large eggs cooked any style. 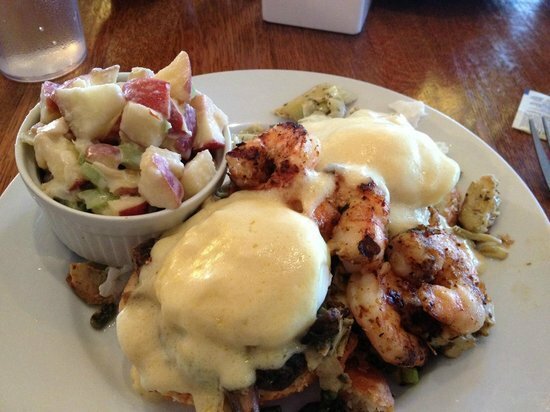 The Mosquito Benedict, craved and devoured often by many locals, features a house-baked savory scone covered with sautéed shrimp, mushrooms, sun-dried tomatoes, artichoke hearts, fresh asparagus and then topped with two perfectly cooked poached eggs and an ample amount of hollandaise sauce. This creation is so good that you will want to lick your plate clean. P ancakes, french toast, lox and bagels, granola and yogurt as well as many delicious bakery items are available as well. For lunch and dinner, Mosquito offers a nice variety of options on their menu as well as Daily Specials. 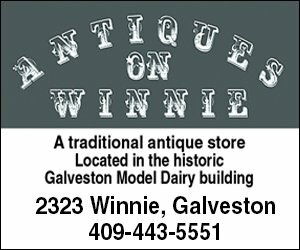 The Galveston heat may get your appetite at times so Mosquito offers one of the best salad menus that we have found, featuring eight unique bowls. The Far East End is a favorite featuring grilled medium rare ahi tuna with angel hair pasta, cucumbers, sweet peppers, shredded carrots and pickled ginger over mixed greens served with three Asian sauces (spicy sambal vinaigrette, tamari sesame vinaigrette, and wasabi cream). Also, the Warm Goat Cheese Salad is a good option for vegetarians. Be sure to try the Shrimp Salad, which is a big scoop of cold shrimp salad. It is made daily from scratch, with loads of boiled shrimp, mayo, celery, onions, bell peppers, boiled eggs, cheddar. It is served on top of spring mix lettuces and is a wonderful, cool and refreshing summer meal. 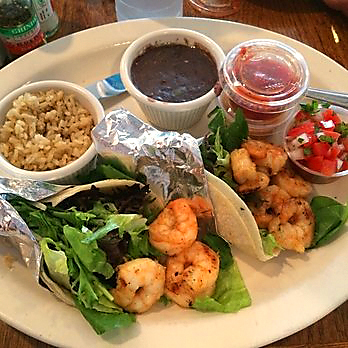 “Big Bites” include locals’ favorite Mosquito’s Grilled Shrimp Tacos piled high with grilled shrimp stuffed in flour tortillas and handmade chipotle sauce and pico de gallo. People drive from Houston just to have the Turkey Divinity – oven roasted turkey with melted brie, bacon and grilled apples. The Southwest Green Chile Burger is also a favorite with spicy roasted chopped green peppers, loads of melted cheese and served on Mosquito’s own homemade honey wheat bun. Vegetarian options include the Veggie Burger and Veggie ‘Shroom (marinated portobello mushroom, sliced and grilled, then topped with a huge pile of grilled zucchini, tomatoes, and goat cheese). Chalkboard Specials are available and change often. Past ones have included chilled watermelon gazpacho, “Health Nut salad” (combination plate of three salads: shrimp, pesto pasta and house salad) and “fish du jour” and is the chef’s pick. Redfish was the pick during our visit. Trendy sandwiches are usually included, as well as huge bowls of pasta options. 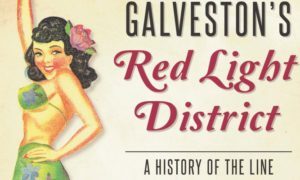 A nice glass of wine or Galveston Island Brewery beers on the patio is a great way to end your day, the Seafood Sliders are a definite grazing option while you unwind. Mosquito offers happy hour Monday-Thursday, 5-9pm. The Dinner menu at night gets even more creative. Our favorites include Shrimp and Cheesy Grits, Grandma’s Meatloaf, freshly prepared fish, and many daily specials. Mosquito Cafe also offers a kid’s menu, gluten-free options and a nice variety of freshly baked cakes, muffins, scones and more. 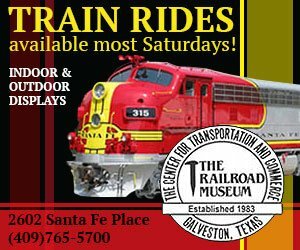 Salsa’s Mexican Cafe, located on the Seawall, was selected by “Texas Monthly” and the “Galveston Daily News” for “Best Mexican Restaurant” and “Best Margarita on the Island,” which comes as no surprise by Galveston locals. 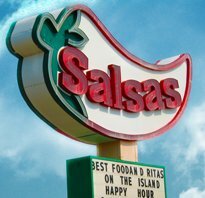 Opened in January 1998, Salsa’s has been a hit with visitors and locals alike ever since they opened their doors. 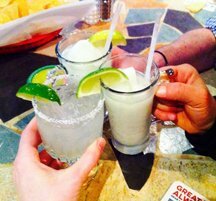 Owned and operated locally, Salsa’s is a popular hot spot, featuring plenty of parking, a breathtaking Gulf view, great food, a fantastic happy hour, and of course, their famous award-winning margaritas. Said by local patron Alex Smith, “I could seriously drink the green sauce, it’s incredibly addictive and highly recommended. I come here a few times a week just for that!” Salsa’s serves two tantalizingly-different salsas, but the green sauce is a killer, especially along with a house-made margarita. 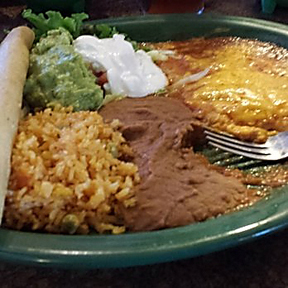 Another local described the green sauce as “The best green salsa in Texas – maybe the world!” We have to agree. 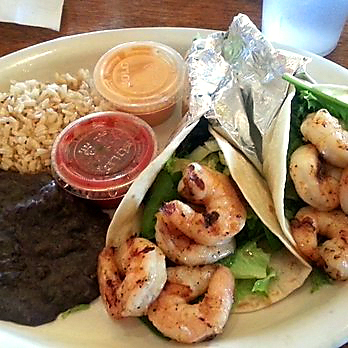 Salsa’s menu offers traditional Mexican dishes like chicken, beef or shrimp fajitas, fish tacos, red snapper del mar, garlic butter shrimp, chipotle enchiladas, stuffed shrimp jalapenos, big burritos and a big appetizer of messy nachos. Frank’s Fajita Taquitos are a favorite. Although these are called ‘taquitos,’ they are served more street taco-style, open face, filled and overflowing with grilled beef fajitas (or chicken), grilled onions and pineapples. Three come to an order. Salsa’s Beef Fajitas al Chipotle are heavenly and feature fajita beef served so tender you can cut it with a fork; the flank steak is cooked in a spicy, smoky chipotle sauce and topped with a ton of Monterey jack cheese, grilled onions, peppers, green olives, guac, pico, with a side of borracho beans and rice. You can get these in chicken or beef, but the beef are our favorite. The Papa Rellana is a great, unique dish. Take a huge baked potato and then top it with all the Mexican food that you love – like fajita beef or chicken (favorite), creamy queso, sour cream, guac, Mexican-flavored butter, and a huge serving of that green salsa that we adore – and you have this heavenly dish. “Bringing Mexico to the Island” is Salsa’s motto and their menu certainly does just that – offering many fish and shrimp dishes such as Grilled Fish Tacos, Red Snapper a La Veracruz (pan-grilled fish seasoned with Mexican-style spices and served with grilled vegetables), Shrimp Enchiladas, tostadas and quesadillas. Bacon wrapped shrimp is a great choice too. 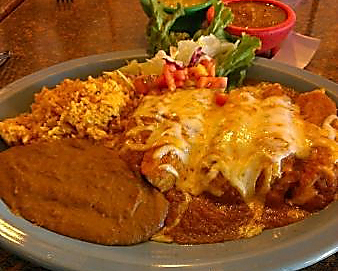 “Pollo Loco” is a hidden gem on the menu which is a grilled chicken breast smothered in Salsa’s own mildly spicy and smokey raja de poblano pepper sauce. This dish is different, but is something you should try. 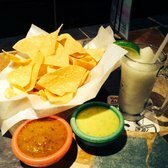 Salsa’s menu is huge and there is something for everyone, including vegetarian options as well as “gringo” selections of salads, soup, burgers, grilled chicken sandwiches and oh, the fried ice cream – which is certainly worth mentioning. 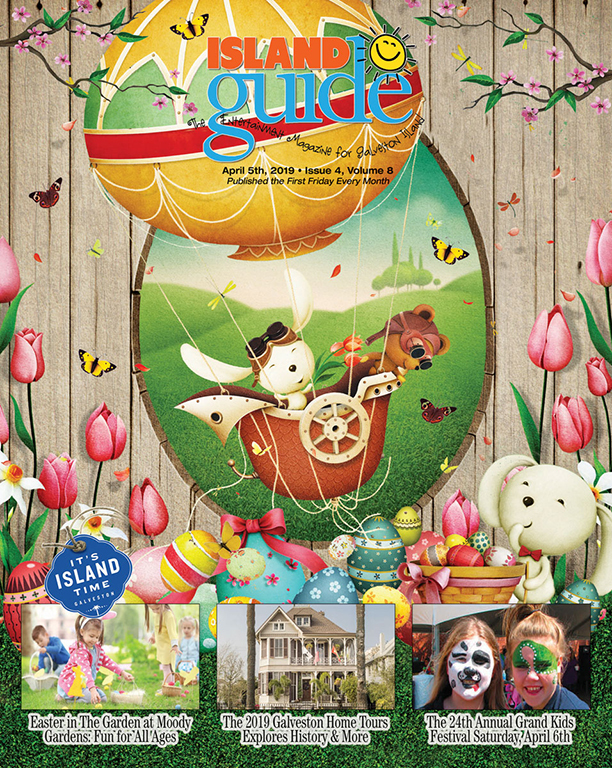 A kid’s menu is available, as well as free chips and salsas with the purchase of an entree. A lively and fun Mariachi band plays every Sunday and Wednesday evenings. Salsa’s is open Sunday-Monday, 11am-9:30pm, Tuesday-Thursday 11am-10pm and Friday-Saturday 11am-10:30pm. Happy hour is Monday-Friday 3-7pm. Lunch specials are Monday-Friday 11am-3pm, excluding holidays. The restaurant is bright, clean and colorful and offers plenty of room for large groups of friends and family. 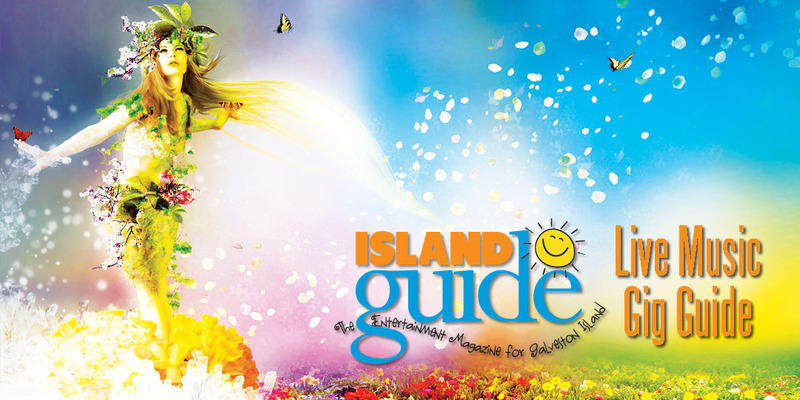 We hope you will enjoy these “Locals’ Favorites” as much as we do. Support local, it makes a huge difference.